My team is dedicated to providing affordable and quality photography, videography, up-lighting, and photobooth. We will be there with you from beginning and to the end, working side by side to make the perfect wedding video and photo collection for you to treasure and reminisce about for years to come. We take pride in our creative abilities and we will use those abilities to edit your wedding video and photos into a magical memory that you will absolutely adore. We have captured over 1,000 beautiful weddings and events. You only get one chance to capture one of your most important days in your life. You want an experienced company like us to capture your beautiful wedding or event. Please call 410-302-5752 or contact me, so we can talk about your wedding plans. We capture anniversaries, engagement sessions, Bar Bat Mitzvahs, corporate events, holiday parties, birthday parties, and weddings. We deliver High Definition Digital Chip Technology with High Definition Resolution Video picture quality. We deliver professional wedding video and photo packages. 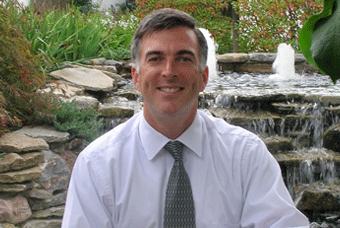 Serving Baltimore, Maryland MD, Washington DC, and Virginia. Click on the below icons to Like or Recommend us on Facebook. For most people, their wedding is one of the most precious moments in their life which symbolizes their union and committed towards each other. Picture this – the bride walks down the aisle in her lovely wedding gown and moves towards her soon-to-be-husband. They are surrounded by family and friends who might even be shedding some tears of joy and happiness while a beautiful music plays on the background as the Groom takes the hand of his Bride. This is an example of a perfect moment and these are the moments that A Treasured Wedding Photography, Videography, Up-Lighting, and Photobooth captures. They capture Anniversaries, Engagement sessions, Bar Bat Mitzvahs, corporate events, holiday parties, birthday parties, and weddings. Eric’s team produces photos and videos that are a light-hearted reminder of the couple’s special day. The wedding day of the Bride & Groom is filled with so much treasured memories, laughter and joy which is why capturing those details are highly essential in making the photos and videos authentically real. Additionally, A Treasured Wedding Photography, Videography, Up-Lighting, and Photobooth of Baltimore, Maryland & Washington DC knows that couples like to enjoy their wedding day which is why he does not use intrusive lighting or obtrusive camera angles at a couple’s wedding ceremony and reception. Eric Hartlieb who graduated from Towson University with a Bachelor’s Degree, (Business of Science) has studied the art of photography & videography. With his knowledge, skills and love for his craft, he assures clients that he offers a high level of professionalism when it comes to his business and service. The Photography Package of “A Treasured Wedding” also includes the following: Unlimited high resolution exposures, capturing his couple’s Ceremony & Reception and all the pictures of the couple will be placed on their private web page for viewing. In addition, couples will to receive a memory drive or flash drive with full rights and ownership to all of their images. Every couple who is about to get married has a different style, taste and take on it – and this is something that “A Treasured Wedding Photography, Videography, Up-Lighting, and Photobooth -Baltimore, Maryland & Washington DC” identifies with and understands. This is the main reason why the company and its owner, Eric Hartlieb’s team works with the Bride and Groom. This ensures them that all the details prior to the couple’s wedding day are all set and ready to go. They capture Anniversaries, Engagement sessions, Bar Bat Mitzvahs, corporate events, holiday parties, birthday parties, and weddings. To be captured and the snippets of that special day serve as the essence and core of the couple’s wedding celebration. Eric Hartlieb’s team who has been shooting for more than 20 years has one of the best professional wedding photography and videography packages. As such, their prices are seen as extremely competitive and affordable for the budget conscious Bride & Groom. 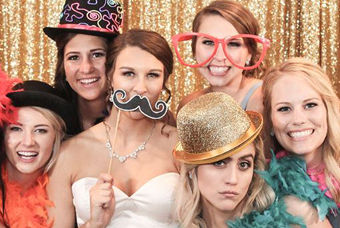 Moreover, the company offers wedding up-lighting and photobooth rentals. Eric’s team have made it a point to capture photos and videos that reflect the style of both the Bride and Groom. 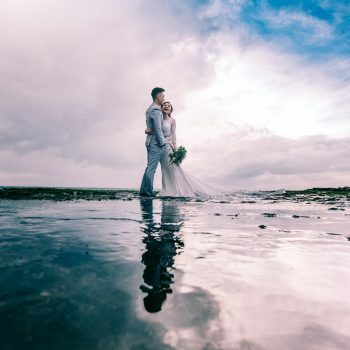 Whether they are seen as a fun-loving couple or whether they opt for a more relaxed and informal wedding, the photos and videos that the company produces will undoubtedly be timeless. Only $850 Owner of A Treasured Wedding Photography, Videography, Up-Lighting, and Photobooth of Baltimore, Maryland & Washington DC has an inherent love for his craft which is photography and videography. Capturing Anniversaries, Bar Bat Mitzvahs, events, holiday parties, birthday parties, and specializing in weddings. One might say that is it due to its symbolic fusion of love and commitment which is exactly what he promises to his customers – a commitment in providing quality photography and cinematography coverage at a affordable-discounted rate in the Baltimore-Maryland, Washington DC, and surrounding areas. 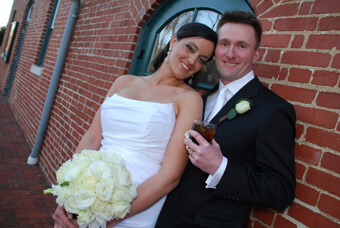 As the owner of “A Treasured Wedding Photography, Videography, Up-Lighting, and Photobooth of Baltimore, Maryland & Washington DC,” Eric Hartlieb enjoys photography and videography and is able to create that perfect wedding video and photo collection for a couple to treasure and look back on for many years to come. Only $850 packages – As an owner of a professional photography and videography company, A Treasured Wedding Photography, Videography, Up-Lighting, and Photobooth -Baltimore, Maryland & Washington DC, Eric Hartlieb makes it a point to capture a couple’s special day, from pre-ceremony to post-reception, in the most inconspicuous way. He owns “A Treasured Wedding” which is geared towards budget conscious Brides & Grooms. Eric Hartlieb ensures couples that he uses high quality digital photography and cinematography high definition cameras with high fidelity sound and a wireless microphone to record their wedding day. 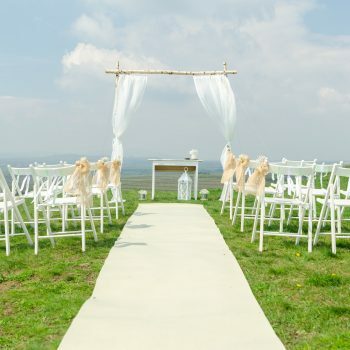 In addition, he makes sure that the Bride & Groom would have a say in the matter such as the style, length and whatever else they deem important to include during their special day. Having a great passion for his craft, Eric Hartlieb understands the importance of quality control. It is an essential tool in allowing him to capture all of the pre and post-production clip of a couple’s wedding video. This is because his company delivers wedding photos and videos that they will treasure for a lifetime. That is the reason why customers are highly satisfied with “A Treasured Wedding Photography, Videography, Up-Lighting, and Photobooth-Baltimore, Maryland & Washington DC” – it is because the photos and videos clearly reflect the style and taste of the Bride & Groom. “A Treasured Wedding” is a photography and videography company that caters to weddings, anniversaries and all types of events. Owner Eric Hartlieb ensures customers that his company provides top quality wedding photographs and videos for their very special day. 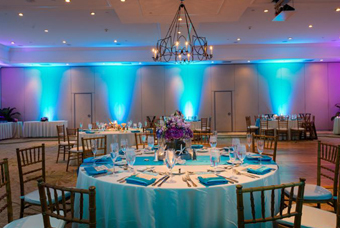 It has always been his goal to give couples the highest quality service and products that his company can offer during this very special occasion. 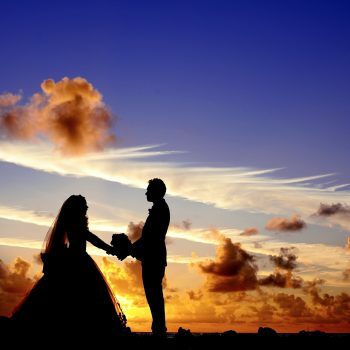 “A Treasured Wedding” makes this possible by spending time with the Bride and Groom prior to their wedding in order to be able to truly customize the photo and video services that will meet the couple’s specific style and needs. Eric’s team of videographers are talented artists who capture the significant moments of a couple’s special day in addition to having the ability to capture the essence of the whole event once the Bride & Groom ties-the-knot. His talented team videographers not only captivates the eyes of those who sees his images and shots but also their souls. On top of that, “A Treasured Wedding Photography & Cinematography Videography -Baltimore, Maryland & Washington DC” does not only produce quality photography and cinematography coverage for weddings but is also affordable for a budget conscious couple which is something that Eric Hartlieb has taken into consideration. They capture Anniversaries, Engagement sessions, Bar Bat Mitzvahs, corporate events, holiday parties, birthday parties, and weddings. Since wedding photos and videos are something that should be treasured forever, there is nothing like a professionally edited wedding video and beautifully edited pictures to truly to capture a couple’s once in a lifetime event – and “A Treasured Wedding” can make this happened. The photography and videography package of “A Treasured Wedding” works well with budget conscious Brides & Grooms. The Videography Ceremony & Reception early season price costs only $850 and the Photography Ceremony & Reception only cost $850. With the modern and creative photography style of Eric’s team, couples can be assured that they will receive a combination of photojournalistic and candid wedding photographs, artistic, fun and unique shots, as well as some classic and traditional wedding pictures. 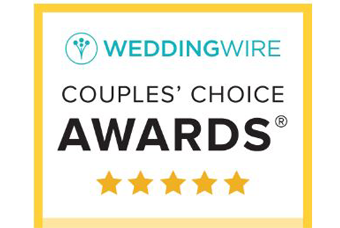 Eric Hartlieb assures couples that with “A Treasured Wedding,” they will experience a wonderfully emotional and lasting reminder of the most important day of their life. Owner of “A Treasured Wedding Photography & Videography -Baltimore, Maryland & Washington DC,” Eric Hartlieb, understands that wedding photography and cinematography is never defined with just a single style. This is why he offers a combination of photojournalistic, documentary and candid style for the ceremony and reception in addition to mixing it with some artistic and creative flavor that would reflect the couple’s style and taste while offering classic and traditional family photographs. Apart from that, couples get the professional services of Eric’s team who uses high quality digital photo and video cameras with high fidelity sound and a wireless microphone to record the couple’s special day. For owner, Eric Hartlieb, quality control is extremely important in capturing the Bride & the Groom’s wedding event such as the pre and post-production. Armed with a photo journalistic style, A Treasured Wedding assures customers that the photos and videos will be passionately crafted to show an original and visual narrative of the couple’s special day. “A Treasured Wedding” promises that the photos and videos will keep the memories of the Bride & Groom looking current and fresh. It has always been the goal of Eric Hartlieb and his staff to capture a couple’s wedding day in such a way that they would treasure this moment for a lifetime. He wishes to meet the needs of his customers by giving a great deal of attention to details. Eric Hartlieb who wishes to capture the moment as it truly “is” has great love for his craft and for his business. This is why “A Treasured Wedding Photography & Videography -Baltimore, Maryland & Washington DC” is the ideal choice when it comes to creating the perfect wedding video and photo collection for a couple who wishes to treasure this special moment and reminisce this special event for many years to come. “A Treasured Wedding Photography & Videography -Baltimore, Maryland & Washington DC” is not only a business but is also a way of expressing emotions, creativity, love and passion. The company notes that it is important for couples to remember every detail of their wedding day and that is why its owner Eric Hartlieb tries to capture those moments with his lens. With more than 20 years of experience, Eric Hartlieb’s vision and style for “A Treasured Wedding” is different from other photography and videography companies. This is because he has a strong passion for rich visual storytelling and compelling graphic innovation through his photos and videos. Aside from that, he makes sure that his works reflects the couple’s style and taste. Moreover, he finds great pleasure in knowing that a couple enjoyed their special day without knowing that he is there, capturing everything that is happening during the couple’s happiest moments.